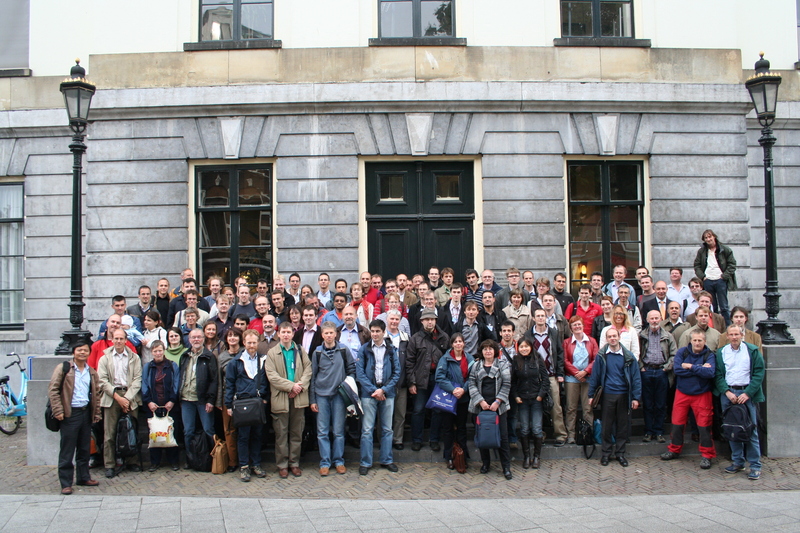 The next joined ALADIN Workshop (19th) and HIRLAM All Staff Meeting (2009) will take place in Utrecht, the Netherlands on May 12-15, 2009. The meeting is scheduled to start on Tuesday morning 12 May around 9h, and end on Friday 15 May around noon. As was the case in previous years, there will be a largely common program, based on joint thematic sessions (hopefully fully plenary, this time). In addition, a meeting of the HIRLAM Management Group and the ALADIN CSSI will take place to discuss common plans and activities, on Monday11 May and on Friday afternoon 15 May to wrap up any remaining matters. Those of you who wish to attend, are requested to fill in the registration form and send it by email to Jeanette Onvlee (for HIRLAM participants) or Patricia Pottier (ALADIN participants) before 1 April. The local organizers have set up a web site which contains practical information on the venue of the meeting and on local accommodation: www.knmi.nl/samenw/harmonie/ASM2009/. Later on, more information will be added on e.g. the programme setup, how to reach the various locations, etc. Session 3: Performance aspects and model physics. Jean-François Geleyn : Towards a common framework for (i) extensions of the Louis formalism, (ii) the RANS aspect of the QNSE theory and (iii) the class of ’No Ri(cr)’ Reynolds-type prognostic TKE schemes? Piet Termonia : Some issues about the lateral boundaries. Quo vadis LBC’s? Session 5: System aspects and verification. Ryad El Khatib : Profiling Arpege, Aladin and Arome … and Alaro ! For most people, plenary sessions are appreciated as they allow a maximum people to attend the whole meeting. One disadvantage is the difficulty to have a strong interactive discussion, both by lack of time and too big groups. For the next workshop/all staff meeting, we will propose to shorten a little the sessions and allow 2 or 3 hours for split groups to have parallel working group discussions. Thus, during the last morning, the reporting back on outcome of each session will both summarize the session and its corresponding working group discussion (the duration of each reporting back remaining unchanged). Profiling Arpege, Aladin and Arome … and Alaro ! Some issues about the lateral boundaries Quo vadis LBC’s? Towards a common framework for (i) extensions of the Louis formalism, (ii) the RANS aspect of the QNSE theory and (iii) the class of ’No Ri(cr)’ Reynolds-type prognostic TKE schemes?